Keep your rooms and office smelling fresh and clean. Provides a time-released fragrance for up to 60 days before needing refill. For greater control, choose one of freshener's three automatic settings: 9-, 18- and 36-minute intervals. Clever motion detecting technology releases extra fragrance when needed. Easy to mount on surface or walls. Keep your rooms and office smelling fresh and clean. Provides a time-released fragrance for up to 60 days before needing refill. 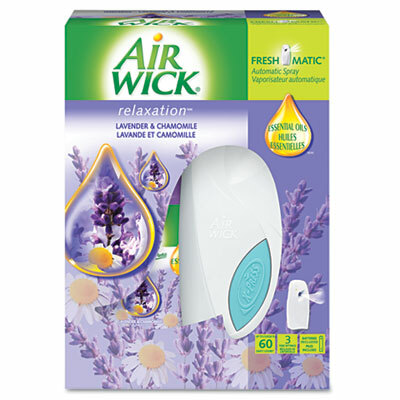 For greater control, choose one of freshener's three automatic settings: 9-, 18- and 36-minute intervals. Clever motion detecting technology releases extra fragrance when needed. Includes two AA batteries. Easy to mount on surface or walls.